Born and raised in Texas and Oklahoma, Davi Walders graduated from the University of Texas at Austin. Since then, she has made her home in the Washington, DC area where she received an M.A. in Linguistics from The American University and continued graduate work in Human Development at the University of MD, College Park. She is a writer and educator whose poetry and prose have appeared in more than 200 publications, including The American Scholar, JAMA, Feminist Studies, Lilith, and Potomac Review. 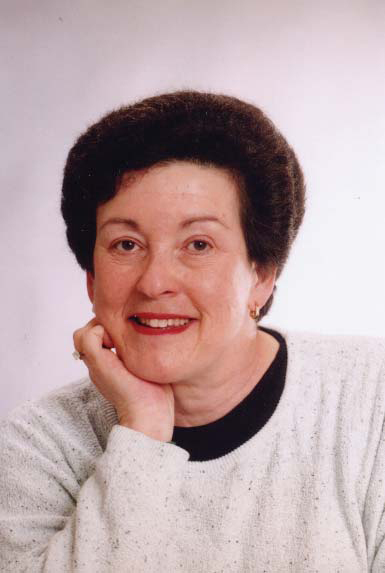 Her work is included in such anthologies as Worlds in Their Words: Contemporary American Women Writers (Prentice Hall); Literature of Spirituality (MMM Publishing), Beyond Lament: Poets of the World Bearing Witness to the Holocaust (Northwestern University Press), Lonely Planet’s Tales from Nowhere, and Traveler’s Tales: Prague. Her chapbook, Gifts: Poem Portraits of Gifted Individuals Who Valued Giving, was commissioned by the Milton Murray Foundation for Philanthropy and presented by the Carnegie Corporation to its Carnegie Medal of Philanthropy recipients. She received the Greater Washington Hadassah’s Myrtle Wreath Award for developing and directing the Vital Signs Poetry Project at the National Institutes of Health and its Children’s Inn in Bethesda, MD, which was funded for three years by The Witter Bynner Foundation for Poetry. She edited the Project’s Using Poetry in Therapeutic Settings: A Resource Manual & Poetry Collection. 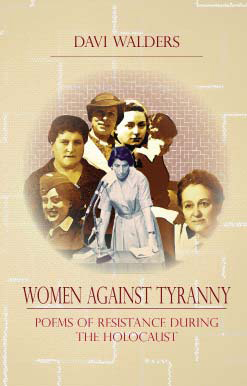 Her latest book is Women Against Tyranny: Poems of Resistance during the Holocaust (Clemson University Press, 2011). Her numerous awards include an Artist Grant in Poetry from the Maryland State Arts Council; a National Endowment for the Humanities Summer Fellowship; a Puffin Foundation grant; an Alden B. Dow Creativity Fellowship; a Time Out for Women Grant from the ARIL, the Association for Religion and Intellectual Life; a President’s Grant from Montgomery County, MD Arts and Humanities Council; and residencies at Blue Mountain Center, Ragdale Foundation, and Virginia Center for the Creative Arts. Her work has been read by Garrison Keillor on Writer’s Almanac, performed in New York City and elsewhere, and nominated for Pushcart Prizes.